What is ST and SC Connector? SC an abbreviation for Subscriber Connector or Standard Connector or Square Connector. It is a type of connector used in fiber optical cables. This connector uses a snap "push on/pull off" coupling type. ST an abbreviation for Straight Tip. 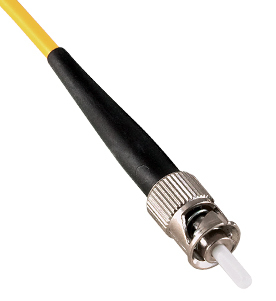 It is also a type of connector used in fiber optical cables. This connector uses a "twist-on/twist off" coupling type. This connector was one of the first to be developed and widely used. It is becoming less common as technology improves.